Public backlash against African hunting expos scheduled to take place in three Canadian cities has prompted two hotels to cancel the events. The Holiday Inn Toronto International Airport hotel and the Saskatoon Inn have announced they will no longer host African hunting expos following public backlash and the circulation of online petitions condemning the events. The shows allow African hunting outfitters to showcase their safaris and expeditions. Meanwhile, an expo scheduled to take place in Calgary at the end of January remains on track. Birgit Johnstone, a director with African Events Canada, says she's surprised by the criticism of the expos, which she says have been taking place since 2009 without any issues. 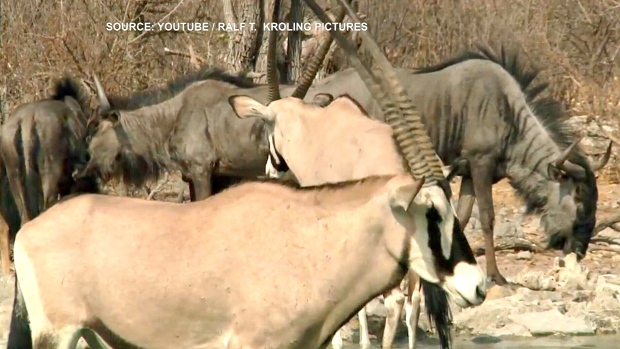 "I think there is a misconception about what trophy hunting in Africa is all about," Johnstone told CTV's Canada AM on Tuesday. She said trophy hunting contributes a large amount of money to help sustain and protect the wildlife population. "It takes money to campaign against poaching, it takes money to look after wild tracts of land," she said. "You need staff, you need rangers, and you need guards who look after wildlife." Johnstone added that hunting provides employment "in countries that are in dire need of employment opportunities." “There are many, many families, thousands of workers, who rely on this industry for their employment,” she said. Johnstone said she believes the recent backlash stems from the killing of Cecil the Lion in Zimbabwe by an American big-game hunter this past summer, which sparked international condemnation. Johnstone pointed out the differences between trophy hunting and poaching. She said hunting is "very regulated and controlled." "It's done very swiftly," she said. "It's selective so it's usually older males that are hunted. They're passed their breading prime so they no longer contribute to the gene pool of the species." Poaching, on the other hand, is "very indiscriminate and can be very cruel," Johnstone said. "Poachers will cut off a rhino horn, and they don't even bother to kill the rhino," she said. "So they just take the horn and leave the rhino walking around with massive injuries."